The strength of a democracy is measured by the way it protects its weak, marginalised and minorities. After Partition in 1947, one big challenge before India was how to assuage the fears of the Muslim minority about their well-being in India. Bridging religious faultlines was part of the nation-building process. 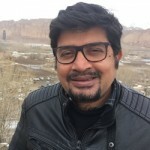 The government, civil society, film industry, media, and even on an individual level, a large section of the society created an ecosystem where secularism and liberalism were promoted unabashedly. This ecosystem and way of life have been largely sustaining India for the last seven decades. Three generations later, Muslims in India are revisiting the same fear and the same sense of foreboding as they did immediately after Partition. Their loyalty to their state is constantly questioned, their way of life is frowned upon and their presence and contributions are not appreciated. India has come to a point where its cultural and religious diversity is propagated as a weakness rather than what it really is – its greatest strength. Now, minorities no longer see the government in Delhi as their saviour. Intead, they have come to dread the state, especially as under it a section of the civil society and a big chunk of the media have become anti-minority. 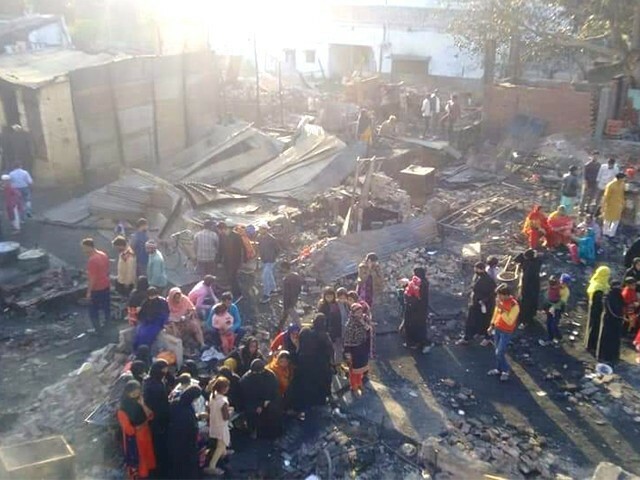 On March 6th when more than 200 homes belonging to Muslims were set on fire in the Bhusa Mandi slum in Meerut, a western Indian city located some 50 kilometres from Delhi, there was hardly a murmur of protest or even an acknowledgement anywhere in India. These people were living in a slum under very inhospitable and unsanitary conditions, which is not an uncommon occurrence in India. The authorities of the Uttar Pradesh (UP) government – a state ruled by rabid Hindu hardliner Yogi Adityanath, who is the mirror image of Prime Minister Narendra Modi with a similar history of anti-Muslim politics – wanted to clear encroachments on the land where Muslim families had been living. According to local reports, some ‘miscreants’ burned the houses in front of government officials, while 200 homes and the lifelong savings of 200 families were gutted within minutes. This is not a mistake. This is by design. The police have assured affected families of an investigation, but we know how the weak and armless are made the victims of such probes. They never get justice; they only get humiliation. The suffering of the victims pales in front of the bigger tragedy – the silence in Delhi, not just by the government, but also by a large section of the media. The national conscience remains unperturbed. What does this incident tell about us, about our democracy? India is no longer about bridging religious faultlines. The politics of the ruling party is to open and exploit as many faultlines and ignite as much tension as possible to advance its majoritarian agenda. The reality of India today is that its Muslim minority cannot count on its government to be its protector. In fact, they look at the regime in Delhi as the predator. The administration in states like UP – one of the largest states in India with a large Muslim population – is complicit in the crime. The media has developed a predatory tendency and mostly advances the government’s narrative. The civil society has also been rendered toothless by Modi’s regime and its controlled media through constant harassment and misinformation campaigns. The opposition, caught between the urge to counter the Hindu right-wing narrative and protect its core secular constituency, fails to raise its voice as effectively as possible. Muslims in India therefore have to fend for themselves. They have never been made as isolated, as insecure and as unwanted in independent India’s history as they are now. Some of the principles that sustained the idea of India have come to be discredited by the Bharatiya Janata Party (BJP) government under Modi’s leadership. His foundation in politics has been laid on the platform of anti-Muslim violence. In 2002, he allegedly presided over the largest state-sponsored massacre of Muslims in his home state of Gujarat. He frequently flaunted this violence that claimed more than 1,000 Muslim lives as his achievement in order to expand his political footprint, and he never expressed sorrow or apologised for the incident. As prime minister, the same politics continues under different garb. Modi’s regime has made secularism an abusive word in India. He has tried to discredit all individuals and institutions that have been the bedrock of secularism and liberal values. Those who talk about minorities are branded as ‘anti-national’. With the backing of an influential section of corporate houses and media, the BJP has successfully launched a mission to turn this secular nation into a Hindu state. The Meerut incident is thus not an isolated one; it is a systematic project to reverse the nation-building that started after Partition. It is Hindu majoritarianism that poses a grave danger to democracy in India today. The cheerleaders of the Hindu right-wing, who are under the impression that their houses are safe, are living in a fool’s paradise. The fire of hatred will ultimately not only engulf its intended target, but will devour the whole land, leaving behind an ugly nation in the place of India.